You are entitled to take back my Senior Gown conferred on me, though I would like to keep it for memory and services rendered”. Speaking to LiveLaw, he said, "I was humiliated . The whole court was laughing at me . This is my final decision. I have decided not to make appearance in any court". The five-Judge Constitution bench of the Supreme Court concluded its hearing in Delhi v Centre and reserved its judgment on December 6. The conclusion of the hearing a little after 4 p.m. was marred by heated exchanges between the Chief Justice of India, Dipak Misra, and the senior counsel for the Delhi Government, Rajeev Dhawan. As Rajeev Dhawan wanted to make oral submissions, in response to the respondents’ contentions, the Chief Justice, who was initially reluctant to hear him, permitted him to do so when he insisted, on the condition that he would avoid the points already canvassed by the lead counsel, Gopal Subramanium. Dhawan then submitted that Article 239 has to be read as a whole, and not in isolation. The Chief Justice objected to asking why he was making it an issue when nobody suggested it. This is an uncalled for and unwanted argument, the CJI described Dhawan’s submission. 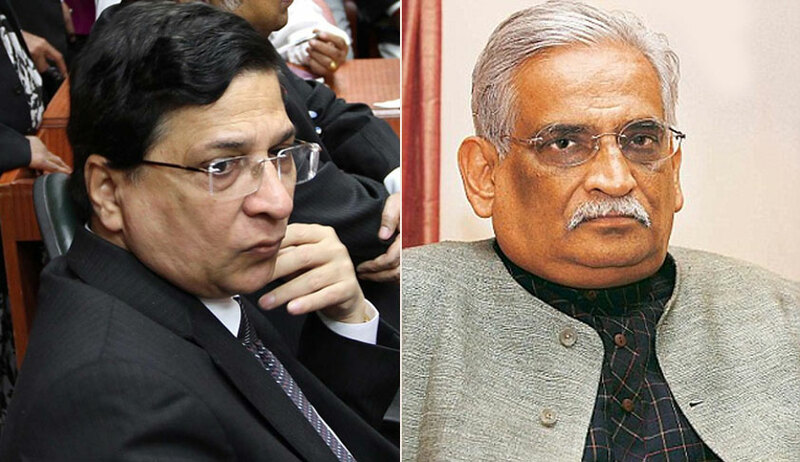 Unhappy with Dhawan’s continued submissions on the same point, the CJI said: “You go on shouting. You are always like that. We will give our judgment". This choice of words by the Chief Justice embarrassed Dhawan, who regretted that the Constitution bench was not permitting him to articulate his propositions. The Chief Justice then asked both Gopal Subramanium and Indira Jaising to clarify.Both the counsel tried to explain the observations of the bench and the other counsel, which suggested that Dhavan might have got it wrong. An unhappy Dhavan then said he would not mind losing the case, and referred to the Chief Justice’s observation that the bench would give its judgment, whatever his propositions are. The Chief Justice denied making such an observation. Meanwhile, Indira Jaising told Dhavan that the other counsel for the petitioners are hopeful that they would win the case, and therefore, his remark was premature. Gopal Subramanium added that he and Jaising had argued the case with a great deal of conviction. Concluding his submissions, Dhawan apologised to the bench, if he had misunderstood its interventions during the hearing.